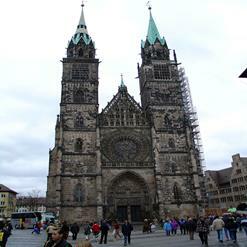 Built from the 13th to 15th century. In the center of the church (Sebalduskirche) is the grave of the city saint, depicting scenes of his life. It is one of the most popular churches in the city.